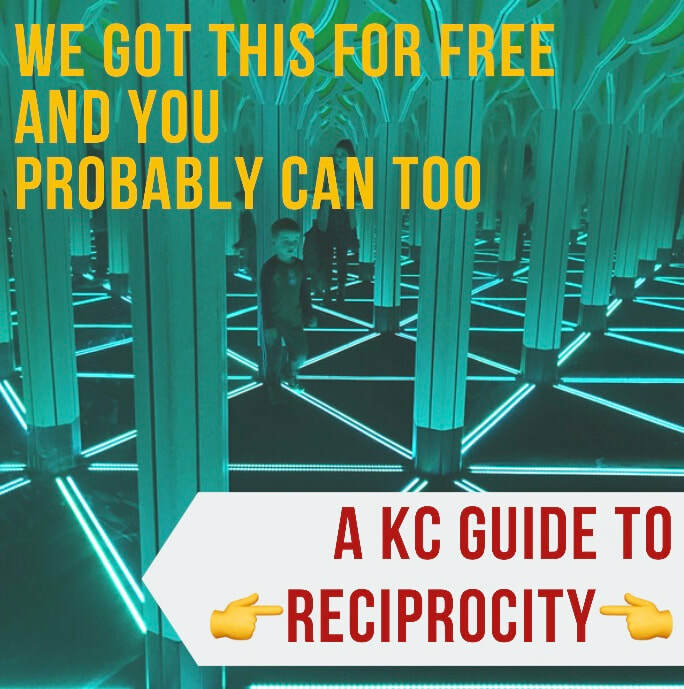 WHAT YOU CAN GET FOR FREE WITH YOUR KC MEMBERSHIPS...a KC Parent's guide to reciprocity. Friends, lets talk about my FAVORITE x 1,000 kid-related word (besides “phase”…ha!). The R-Word. RECIPROCITY. R-E-C-I-P-R-O-C-I-T-Y. Reciprocity. What is this magic thing, you ask? Well, if you have a membership/season pass to many of our fine KC kid-related institutions, you probably already have access to this fine benefit. Reciprocity is when institutions (zoos, science museums, children’s museums, arboretums, etc) form a network. If you have membership at one within the network, then you get FREEEEEEEE access to any of the others in that same network! Each kind of institution has its own network, so you might belong to one or more. Have a SCIENCE CITY/UNION STATION membership? Use it at the Museum of Science and Industry in Chicago. We JUST used this over spring break, and we saved $70 for our family of four (2 adults, 2 kids). The whole membership only costs $95, so it was a DEAL. Have a KC ZOO pass? Planning your summer vacation? You can get in HALF-PRICE at the world-class zoo in Omaha! (Save $38 for a family of 4…admission is $38 instead of $76). What about WONDERSCOPE? Check out the DELIGHTFUL museum in Topeka’s Gage Park (where you can also get half priced admission with your zoo pass at the Topeka Zoo next door). If you have a $150 membership level or higher, you get in free there too! Overland Park ARBORETUM members? (If you’re not, you should be! We LOOOVE the hikes, train display, and nature playgrounds, and it’s very affordable). Visit the excellent Missouri Botanical Gardens this summer! ​Are you planning a bigger trip this summer? Check the museums in the city/state you’re headed to, or consider a leg-stretch at a location along your road trip route! No offense, McDonalds, but running around an amazing science center for a hour ABSOLUTELY beats your PlayPlace. (Sorry-not-sorry). Don’t have a pass, but planning a trip? Check what your ticket prices would be at any of the museums/zoos you’re planning on hitting up. Are they within the reciprocal network? Does the cost offset the price of the KC-based pass? We actually bought the Union Station/Science City pass this year because we knew we were visiting Chicago and San Francisco within the calendar year. The pass gets us well over $100 worth of admissions (just for the two days of visits to the museums we’re planning to visit in those cities) PLUS we get access to all the great stuff here in KC! The Exploration Place. This is in Wichita. So close! CHICAGO: Field Museum AND Museum of Science and Industry! Both amazing and FREE using reciprocity! What a deal! Denver Museum of Nature and Science. We had a blast here last summer. They have a killer gem and mineral collection, and tons of stuff to do! The St. Louis Zoo. This world-class zoo has free admission already, but your KC Zoo pass will get you half price Adventure Passes. This is a great year-round zoo because it has plenty of indoor spaces. Bring a stroller, as there is lots of walking involved. The Omaha Zoo. If you’ve never been, put this on your summer bucket list. This regularly ranks in the top 10 zoos in the world, for good reason. They also recently added a fabulous kid play area. It’s worth a weekend trip all on its own, but it can get crowded at peak times so plan a weekday trip if you can. The Dickerson Park Zoo in Springfield, MO. This is a great size to do in an afternoon, and they offer giraffe feeding for a small fee. The Topeka Zoo. We do at least two Topeka trips a year, and we always spend most of our time at Gage Park (think a much smaller, more kid-friendly version of Swope Park). The zoo is in the park, and admission is cheap before the discount is even applied! It’s a smaller zoo, but worth a visit. ALSO, when you go, make sure you save time for a trip on the train that goes all around the park (a few dollars gets you a ~10 min ride) and the adjoining extensive playgrounds. During rose season, there is a gorgeous rose garden on site, and you MUST visit the Kansas Children’s Discovery Center. The Magic House (St. Louis) YES, PLEASE. There is basically nothing not to like about this place. It’s great for lots of ages, and you can explore it for hours. It can get crowded at peak times, so plan accordingly. Omaha Children’s Museum. Make sure you also check out the zoo in town if you’re going! Lincoln Children’s Museum. This place is a delight! It had a broad range of activities, and lots of bigger spaces to move in. The Amazeum in Bentonville, AR. Very “sciencey," with TONS of hands-on exhibits. It’s also next door to the outstanding modern art museum, Crystal Bridges (which always has FREE admission). I do confess I struggled with keeping even one little curious/rambunctious boy “museum ready” in the art museum, BUT Crystal Bridges has a FABULOUS network of trails and art outside that’s much easier to make kid-friendly. Hotels are very modestly priced in the area. Great weekend trip from KC! The St. Louis Botanical Gardens - Free admission to this excellent garden. You should absolutely pay the small extra fee to get access to the new children’s garden. It’s lovely and my kids spend hours there. There’s plenty of other things to do. Bring quarters to feed the fish at the koi pond. I am POSITIVE there are other standouts, but I don’t have experience with any others. If you know of any that are great for kids, send us a message and we will add them! Always bring your ID and PASS because they don’t magically know you’re a member unless you can prove it. Always check the relevant membership list. They can change slightly from year-to-year. Read the fine print. Some individual museums/zoos/etc. make their own rules. Make sure you read the details and know what to expect. The zoo memberships are especially detailed. Some allow free admission. Others give you half off. Some passes get you bonus stuff. For instance, the St. Louis Science Center is free admission all the time, but your Union Station pass gets you free parking up close, and free admission to some of their paid exhibits (including the Discovery Room, which is great for pre-schoolers). 90 Mile Rule. Most of these institute a “90 Mile Rule” where you can only use the freebies if the museum you have membership to is 90+ miles as the crow flies from the freebie museum. Each place enforces this differently. Call ahead if you have questions! Extra Credit. If you’re a planner like me, consider calling the places you’re planning to visit ahead of your trip. This allows you to confirm the reciprocity and takes out guesswork. 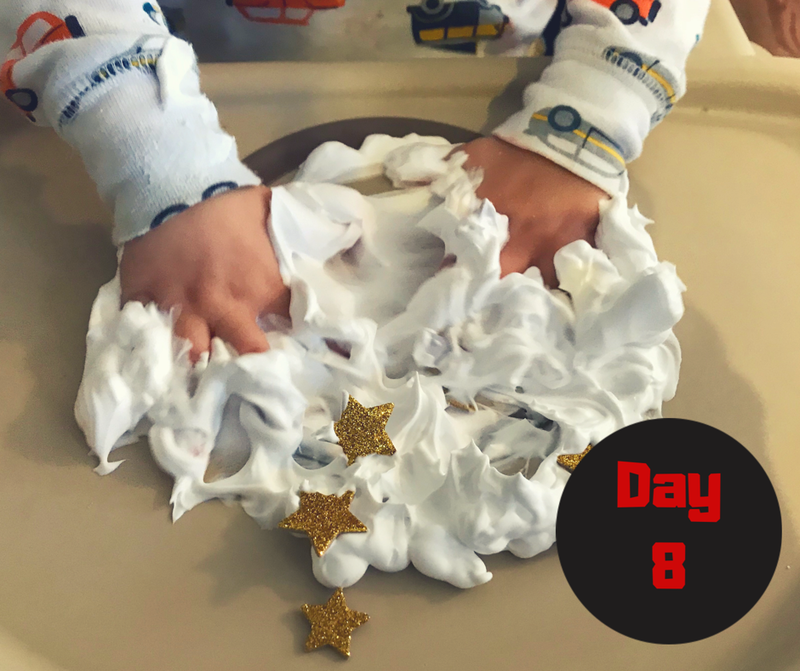 Purpose Play always wants to make great play easy for you! 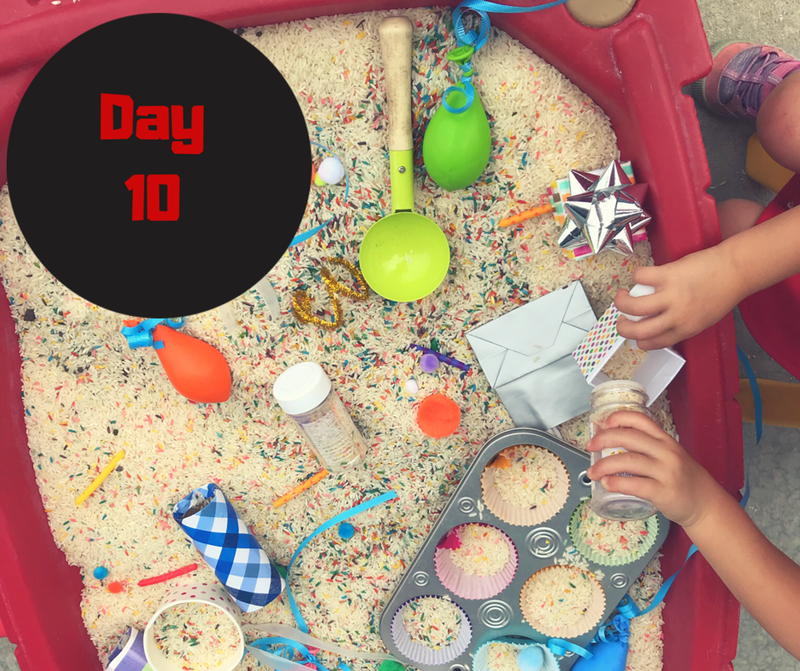 We hope you are inspired to go out and get the most out of your memberships AND we hope you join us for this month’s pop-up play event! 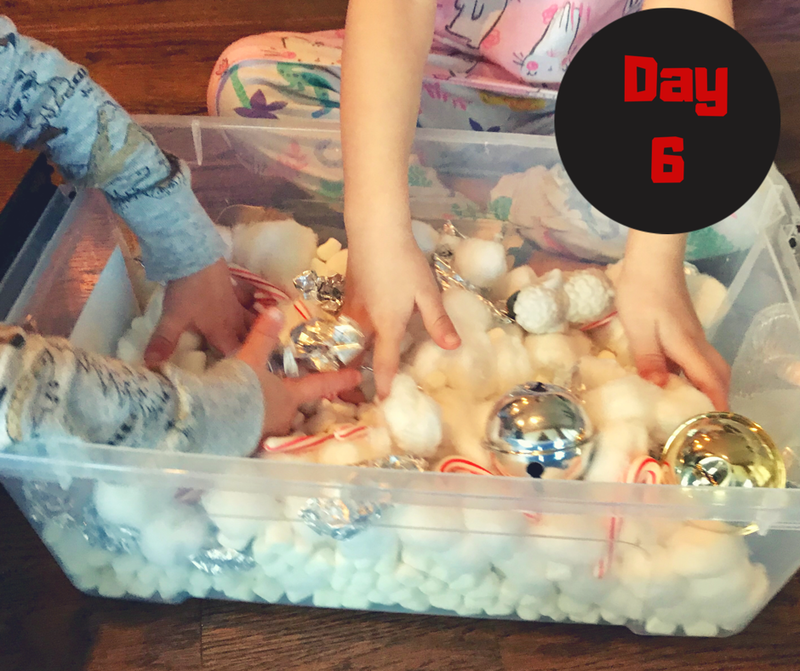 I am so excited to share with you something fun that we did to prepare our hearts and get excited for Christmas this year. 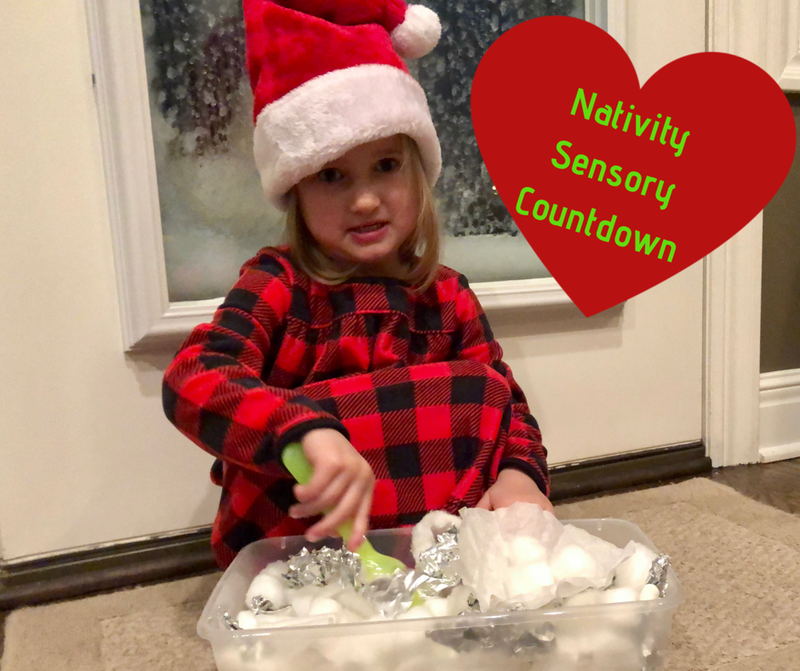 Our family is Christian, and so it was fun to celebrate our love of Jesus and sensory play with these activities. 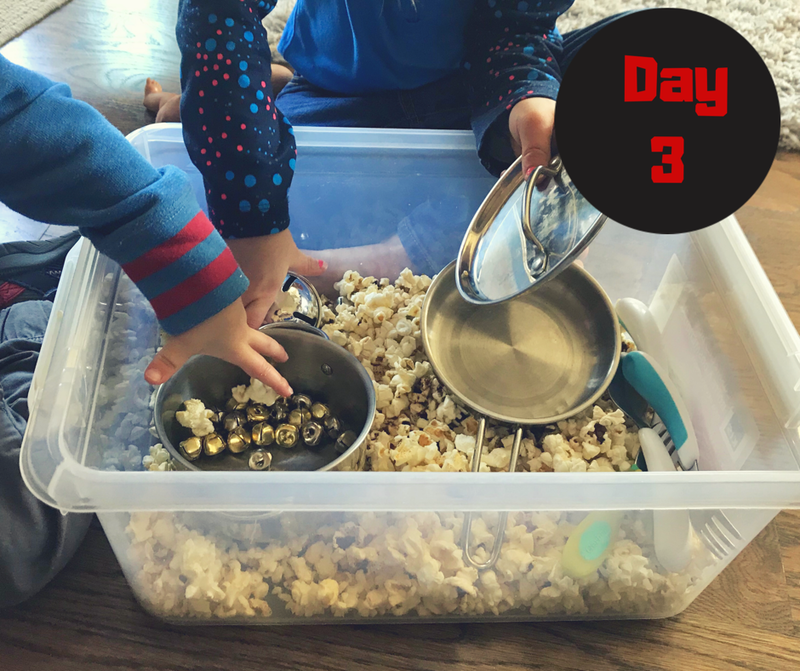 It was amazing to see how much our kids learned (4 Year Old Twins & 2 Year Old). 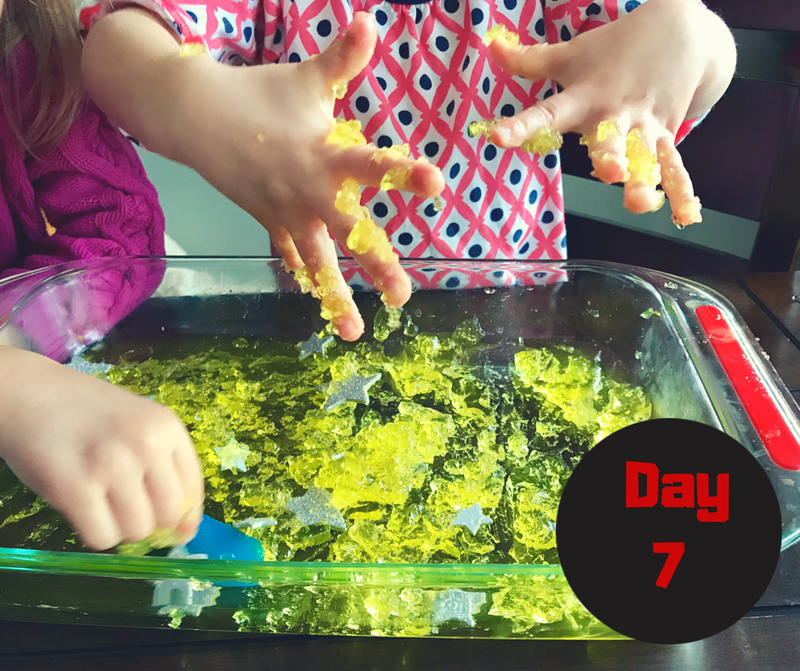 Their focus was much better when participating in sensory play while we discussed the Birth of Jesus. 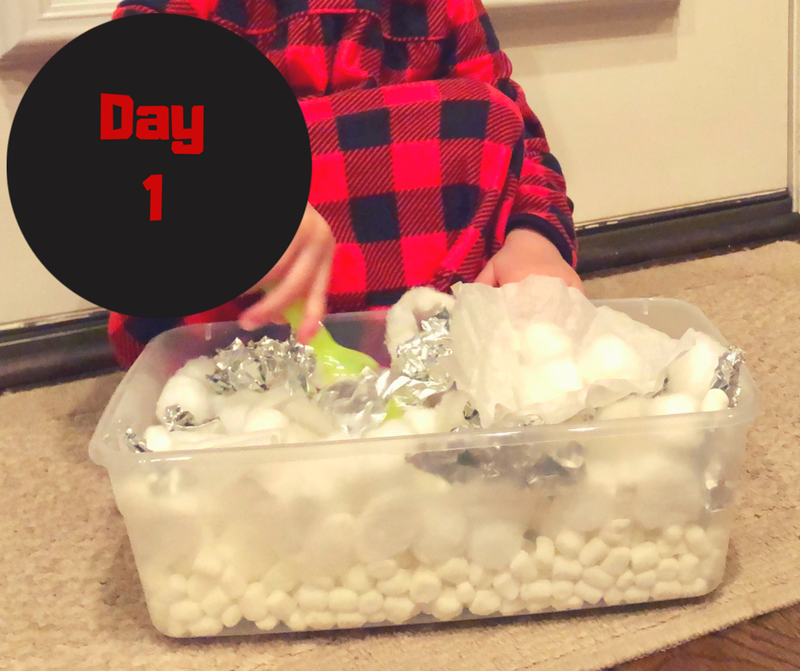 During the sensory play we had discussions, sung songs, read our favorite Christmas books, and read from Luke 2. Note on the Bins: For most of the bins I used stuff that I had laying around the house. My goal was to make it fun, quick, and inexpensive. 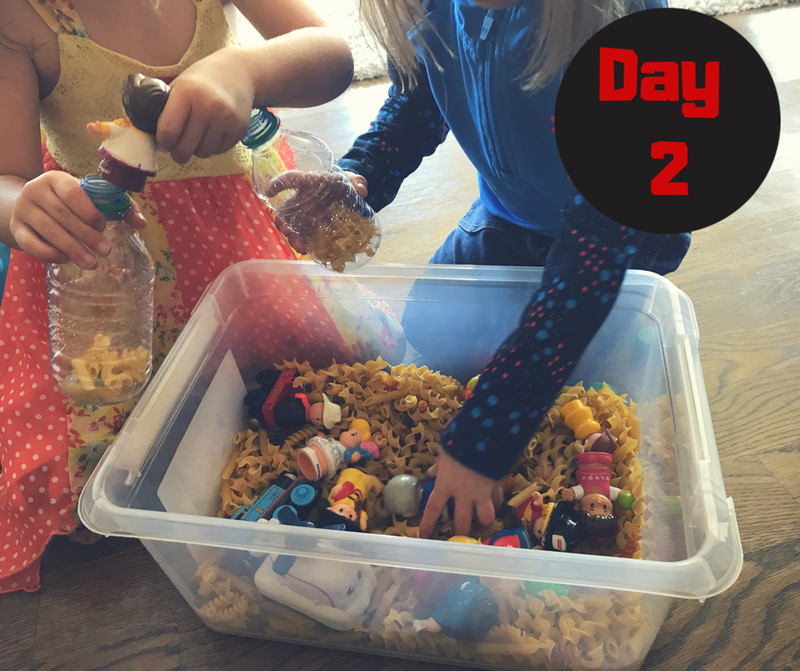 All of the bins I prepared in less than 5 minutes and my girls enjoyed helping me put them together. Discussion: Angels are God's messengers and the news that angels told Mary, Joseph, and the shepherds in the Bible. 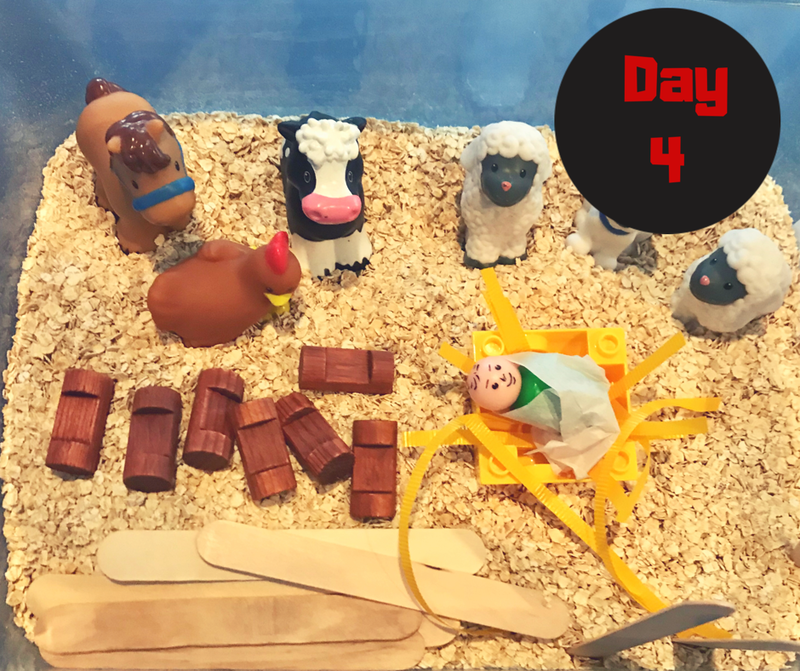 Discussion: We counted people (basic concept of census), found coins in the sensory bin (represented taxes and reason for the census), and discussed Mary and Joseph traveling to Bethlehem and how it was a long journey because they did not travel by plane, car, or train. Discussion: We talked about how there was no house or hotel that Mary and Joseph could stay in. I had the kids "knock" the different items together and I would say there was no room in the inn. Contents: Animals, Person Figurine to be baby Jesus, Yellow Ribbon to be Straw, Lego Block to be the manger, tissue paper to swaddle baby Jesus, popsicle sticks and Lincoln logs to build fences or mangers. Discussion: We did a lot of singing "Away in a Manger" and "Silent Night." We talked about how baby Jesus was born where animals lived. 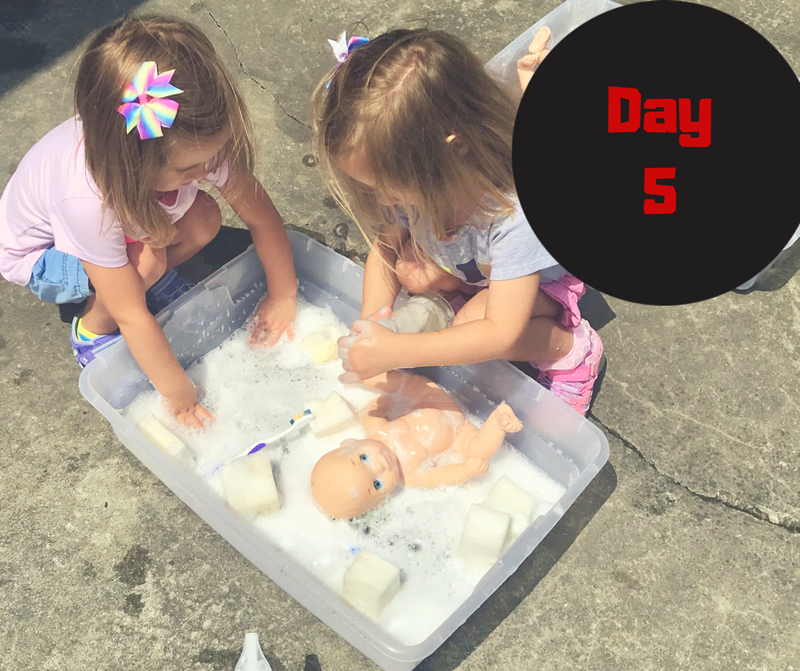 Discussion: We talked about baby Jesus being born. We washed the baby and then swaddled the baby. We talked about what a gift babies are. Discussion: We talked about shepherds and how their job was to watch sheep. We also talked about how candy canes are shaped similar to the staffs that shepherds used. We discussed angels appearing and telling the shepherds the good news. We also talked about how exciting it was that the shepherds got to visit baby Jesus. Discussion: We talked about how there was a bright star in the sky the night Jesus was born. I introduced the Wise Men and talked about how they would follow the star to find Jesus. Discussion: I used this day as kind of a fun review day and went over everything we had discussed. We also talked more about the special star and Wise Men. 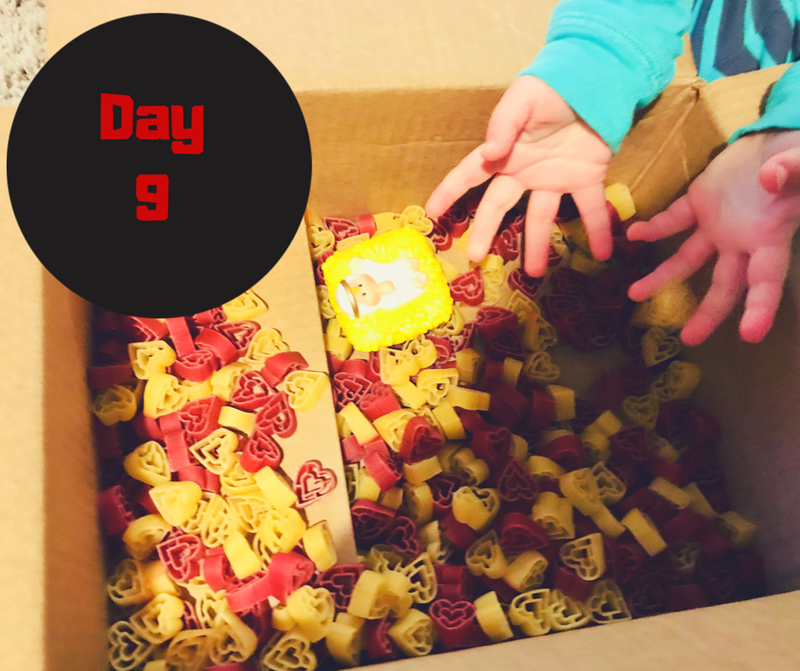 Discussion: I wrapped up a cardboard box filled with heart noodles and Baby Jesus. The kids unwrapped it and we talked about how at Christmas time we receive gifts. I then discussed how Jesus is our greatest gift. We talked about Jesus being God’s Son. I also talked about the gifts the Wise Men brought Jesus. Discussion: We talked about how Christmas is the celebration of Jesus’s birthday. We sung happy birthday to Jesus and talked about how fun it is to celebrate birthdays. We are excited to announce our new venture called Purpose Play LLC. We (Amy, Maureen, and Molly) are thrilled to offer unique activities for kids. Stay tuned for more updates on events and all things Purpose Play. Thanks for joining us on this journey.